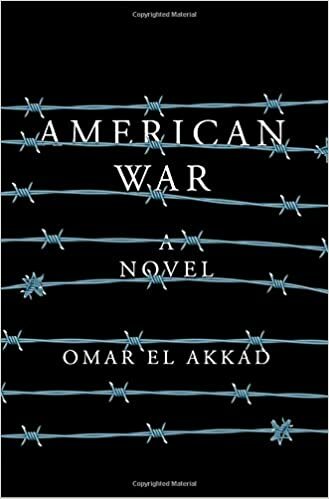 American War by Omar El Akkad — Sarat Chestnut, born in Louisiana, is only six when the Second American Civil War breaks out in 2074. But even she knows that oil is outlawed, that Louisiana is half underwater, and that unmanned drones fill the sky. When her father is killed and her family is forced into Camp Patience for displaced persons, she begins to grow up shaped by her particular time and place. “Give this fascinating, terrifying dystopian novel to mature or politically or environmentally minded teens, who will undoubtedly connect events in 2017 with those of the 2070s” (School Library Journal). 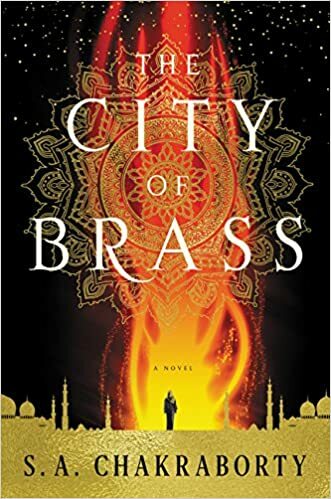 City of Brass by S.A. Chakraborty — Nahri has never believed in magic. Certainly, she has power; on the streets of eighteenth-century Cairo, she’s a con woman of unsurpassed talent. But she knows better than anyone that the trades she uses to get by–palm readings, zars, and a mysterious gift for healing–are all tricks, both the means to the delightful end of swindling Ottoman nobles and a reliable way to survive. “Though Nahri is in her early 20s, young adults will recognize themselves in her. Chakraborty’s meticulous research about Middle Eastern lore is evident, but readers won’t be bogged down by excessive details” (School Library Journal). 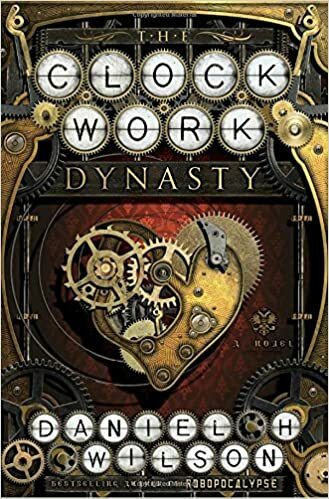 The Clockwork Dynasty by Daniel H. Wilson — When a young anthropologist specializing in ancient technology uncovers a terrible secret concealed in the workings of a three-hundred-year-old mechanical doll, she is thrown into a hidden world that lurks just under the surface of our own. With her career and her life at stake, June Stefanov will ally with a remarkable traveler who exposes her to a reality she never imagined, as they embark on an around-the-world adventure and discover breathtaking secrets of the past. “The chapters are brief, with the rapid pace of a Dan Brown novel. There’s plenty of action here, but Wilson also raises questions about the purpose of life and what makes someone human” (School Library Journal). 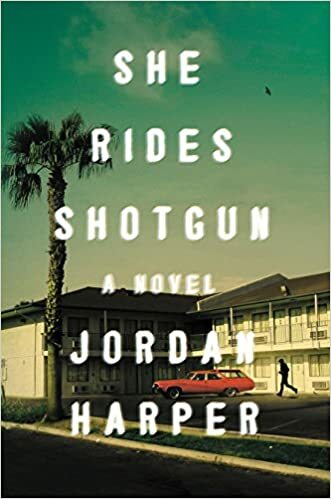 She Rides Shotgun by Jordan Harper — A propulsive, gritty novel about a girl marked for death who must fight and steal to stay alive, learning from the most frightening man she knows–her father. Eleven-year-old Polly McClusky is shy, too old for the teddy bear she carries with her everywhere, when she is unexpectedly reunited with her father, Nate, fresh out of jail and driving a stolen car. He takes her from the front of her school into a world of robbery, violence, and the constant threat of death. And he does it to save her life. “Harper’s portrayal of the California underworld rings true, and the loving connection that develops between Polly and Nate is full of hope and promise” (School Library Journal). 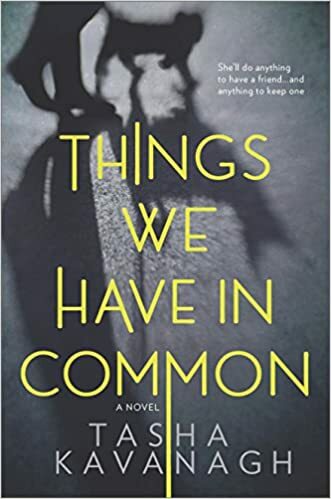 Things We Have In Common by Tasha Kavanagh — Fifteen‐year‐old Yasmin Doner is a social misfit–obese, obsessive and deemed a freak by her peers at school. With her father dead and her mother in a new relationship, Yasmin yearns for a sense of belonging, finding comfort only in food and the fantasy of being close to Alice Taylor, a girl at school. Yasmin will do anything to become friends with pretty and popular Alice. “Readers will find themselves thoroughly confused and questioning what’s actually happening until they reach the last sentence” (School Library Journal). 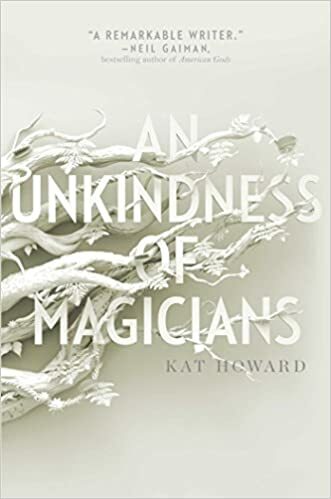 An Unkindness of Magicians by Kat Howard — In New York City, magic controls everything. But the power of magic is fading. No one knows what is happening, except for Sydney–a new, rare magician with incredible power that has been unmatched in decades, and she may be the only person who is able to stop the darkness that is weakening the magic. But Sydney doesn’t want to help the system, she wants to destroy it. “Strong characters and a captivating revenge plot make this a fun, absorbing read for those who like their magic, and their magicians, dark and twisty” (Kirkus Reviews). 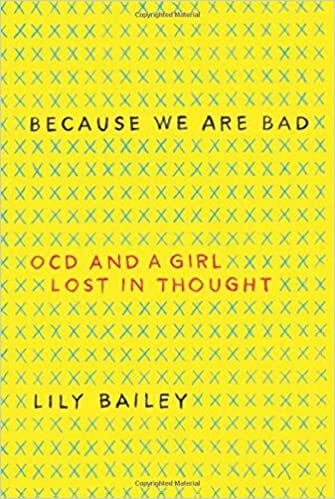 Because We Are Bad: OCD and a Girl Lost In Thought by Lily Bailey — Written with the indelible power of Girl, Interrupted, Brain on Fire, and Reasons to Stay Alive, a lyrical, poignant memoir by a young woman about her childhood battle with debilitating obsessive compulsive disorder, and her hard-won journey to recovery. “Bailey’s often emotional account of her teenage struggles with mental illness will likely resonate with YAs” (Booklist). 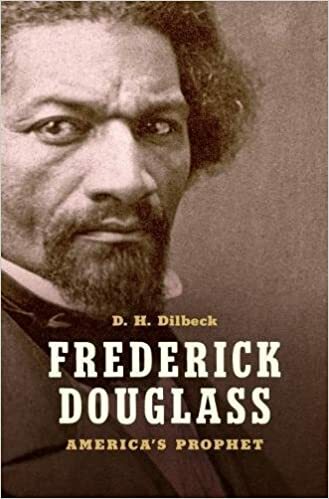 Frederick Douglass: America’s Prophet by D.H. Dilbeck — In this concise and original biography, Dilbeck offers a provocative interpretation of Douglass’s life through the lens of his faith. In an era when the role of religion in public life is as contentious as ever, Dilbeck provides essential new perspective on Douglass’s place in American history. “A superb account of one man’s 50-year fight for human rights and freedom in America. Recommended for those interested in the U.S. Middle Period, Civil War, African American history, and all readers” (Library Journal). 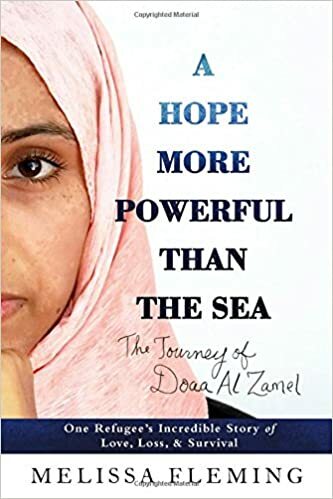 A Hope More Powerful Than the Sea: One Refugee’s Incredible Story of Love, Loss, and Survival by Melissa Fleming — Chronicles the life of Doaa Al Zamel, a Syrian girl whose life was upended in 2011 by the onset of her country’s brutal civil war. Doaa and her fiance, Bassem, decide to flee to Europe to seek safety and an education, but four days after setting sail on a smuggler’s dilapidated fishing vessel along with five hundred other refugees, their boat is struck and begins to sink. This is the moment when Doaa’s struggle for survival really begins. “This book amply demonstrates why Al Zamel has become a symbol of hope for other refugees. Fleming should be congratulated for bringing her inspiring and illuminating story to the page” (Publishers Weekly). 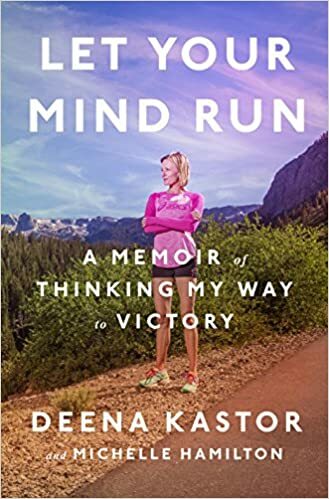 Let Your Mind Run: A Memoir of Thinking My Way to Victory by Deena Kastor and Michelle Hamilton — Deena Kastor was a star youth runner with tremendous promise, yet her career almost ended after college, when her competitive method–run as hard as possible, for fear of losing–fostered a frustration and negativity and brought her to the brink of burnout. On the verge of quitting, she took a chance and moved to the high altitudes of Alamosa, Colorado, where legendary coach Joe Vigil had started the first professional distance-running team. “By sharing the lessons she learned as a high-school and college athlete, Kastor provides a road map for teen athletes striving to develop positive outlooks” (Booklist). 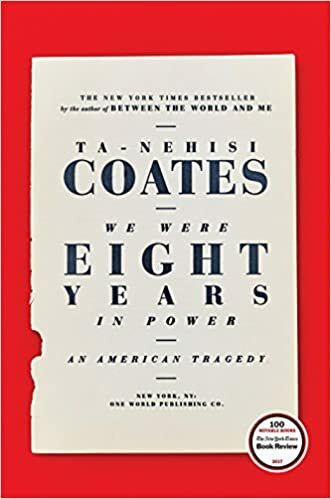 We Were Eight Years in Power: An American Tragedy by Ta-Nehisi Coates — A collection of essays from award-winning author Ta-Nehisi Coats reflecting on race, Barack Obama’s presidency and the jarring aftermath of the election of Donald Trump. Not just about presidential politics, this book also examines the new voices, ideas, and movements for justice that emerged over this 8-year period. “National Book Award-winning Coates is a crucial voice in the public discussion of race and equality, and readers will be eager for his take on where we stand now and why” (Booklist starred review). Speak: The Graphic Novel by Laurie Halse Anderson, with artwork by Emily Carroll — A traumatic event near the end of the summer has a devastating effect on Melinda’s freshman year in high school. “Carroll’s grayscale artwork perfectly depicts the starkness of Melinda’s depression through strong ink lines and striking panels that rely on pencil and charcoal textural effects for the backgrounds. This gripping, powerful work will introduce Speak to a brand-new audience and enthrall longtime fans” (School Library Journal). Poe: Stories and Poems, a Graphic Novel Adaptation by Gareth Hinds — In a thrilling adaptation of Edgar Allan Poe’s best-known works, acclaimed artist-adapter Gareth Hinds translates Poe’s dark genius into graphic-novel format. “A spellbinding adaptation of one of America’s most legendary authors. This volume can easily be worked into literature courses and is a fantastic way to introduce Poe to new readers” (School Library Journal). Jane, written by Aline Brosh McKenna, illustrated by Ramón K. Pérez — A reimagining of Charlotte Brontë’s classic novel Jane Eyre set in present day. Growing up in a broken home in a small fishing town, Jane dreamed of escaping to art school and following the allure of New York City. When that dream becomes a reality however, it’s not long before she feels out of place by the size of the city and the talent of her peers. “This modernized romance with a gothic vibe and a heroine loved for her goodness of character will appeal to all readers who enjoy danger and happy endings underlain with ethical grounding” (Library Journal). Octavia Butler’s Kindred, a Graphic Novel Adaptation by Damian Duffy and John Jennings — Adapted by celebrated academics and comics artists Damian Duffy and John Jennings, this graphic novel powerfully renders Butler’s mysterious and moving story, which spans racial and gender divides in the antebellum South through the 20th century. “The heavily shaded, thick-lined, and rough-edged art lends a grimness appropriate to a life of jagged brutality and fearful uncertainty. Both a rewarding way to reexperience the tale and an accessible way to discover it” (Booklist). Shirley Jackson’s “The Lottery”, the Authorized Graphic Adaptation by Miles Hyman — This graphic adaptation by Jackson’s grandson Miles Hyman allows readers to experience “The Lottery” as never before, or to discover it anew. Hyman has crafted an eerie vision of the hamlet where the tale unfolds and the unforgettable ritual its inhabitants set into motion. “One of the strongest graphic adaptations of a classic work to come along in some time” (Booklist). Here are some of the latest nonfiction titles in the CA Library collection; look for them in the New Books section! 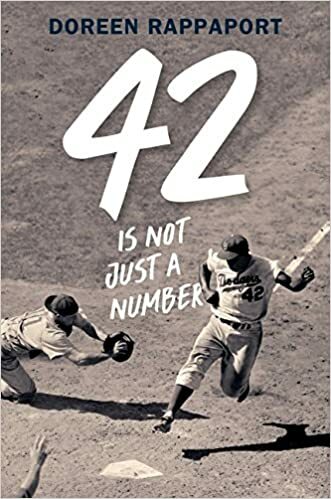 42 Is Not Just A Number: The Odyssey Of Jackie Robinson, American Hero by Doreen Rappaport — An eye-opening look at the life and legacy of Jackie Robinson, the man who broke the color barrier in Major League Baseball and became an American hero. “An engaging account of the man’s life and presents enough background information about American racism during the 1930s and 1940s to help young readers understand the depth of his courage and the magnitude of his achievement as a one-person civil rights movement” (Booklist). 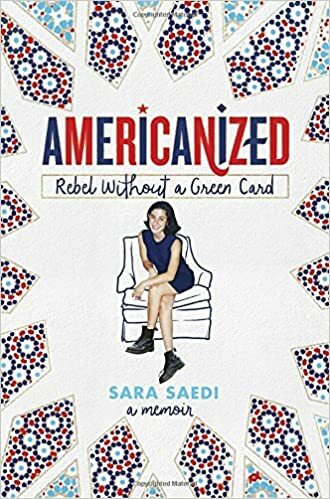 Americanized: Rebel Without A Green Card by Sara Saedi — In San Jose, California, in the 1990s, teenaged Sara keeps a diary of life as an Iranian American and her discovery that she and her family entered as undocumented immigrants. “Filled with pop culture references, journal excerpts, photographs, and relatable coming-of-age content, this book will keep readers fully entertained while pushing them to deeper cultural understandings” (School Library Journal). 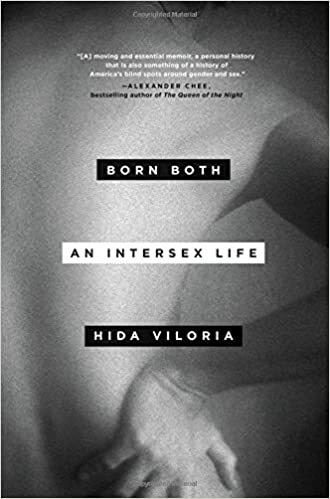 Born Both: An Intersex Life by Hida Viloria — A candid, provocative, and eye-opening memoir of life, love, and gender identity as an intact intersex person, as well as a call to action for justice for intersex people. “Owing to the dedicated research and advocacy of writers like Viloria, the intersex community is making meaningful progress toward equal rights. This brave and empowering book deserves a wide audience” (Library Journal). 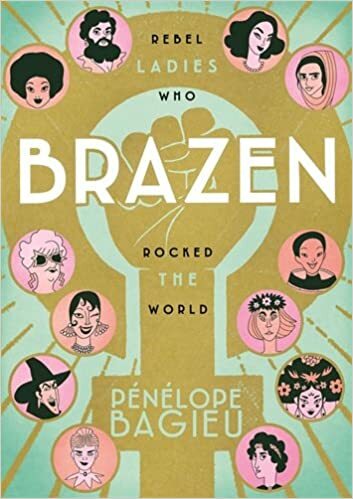 Brazen: Rebel Ladies Who Rocked The World by Pénélope Bagieu — In graphic novel format, looks at the lives of twenty-nine charismatic women in history, including Josephine Baker, Betty Davis, Cheryl Bridges, and many others. “A strikingly original collective biography for casual readers, students, and those looking for inspiration in their own lives” (School Library Journal). 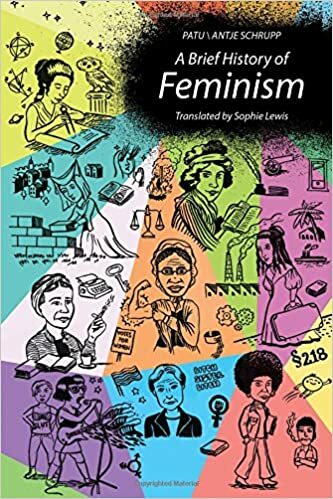 A Brief History Of Feminism by Patu/Antje Schrupp — An engaging illustrated history of feminism from antiquity through third-wave feminism, featuring Sappho, Mary Magdalene, Mary Wollstonecraft, Sojourner Truth, Simone de Beauvoir, and many others. “Powerfully organizes feminism’s many distinct terms, aims, and methods into a concise and savvy series of images…a great overview of a complicated subject” (Publishers Weekly). 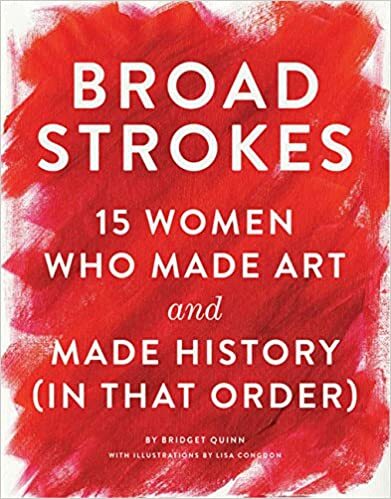 B road Strokes: 15 Women Who Made Art And Made History, In That Order by Bridget Quinn — Art historian Bridget Quinn delves into the lives and careers of 15 brilliant female artists, from the 1600s to the present, in text that’s smart, feisty, educational, and an enjoyable read. “This beautiful volume will inspire artists and delight anyone interested in biographies or art” (School Library J0urnal). Can Your Outfit Change The World? 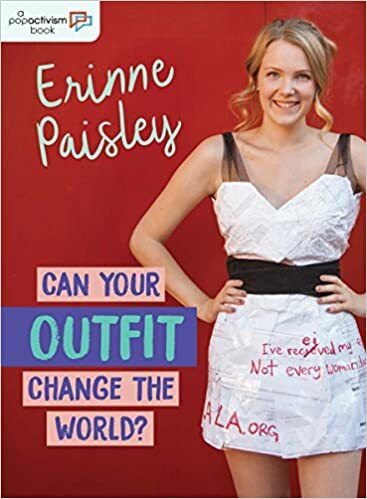 by Erinne Paisley — Looks at how and where clothes are made, how the people who make the clothes are treated and how the companies who sell the clothes affect the health of our planet. “Will find an audience among readers concerned about how their clothing choices impact their world” (Booklist). Can Your Smartphone Change The World? by Erinne Paisley — This how-to manual looks at specific ways readers can create social change through the tap of a screen. Filled with examples of successful hashtag campaigns, viral videos and new socially conscious apps, the book provides practical advice for using smartphones a tools for social justice. 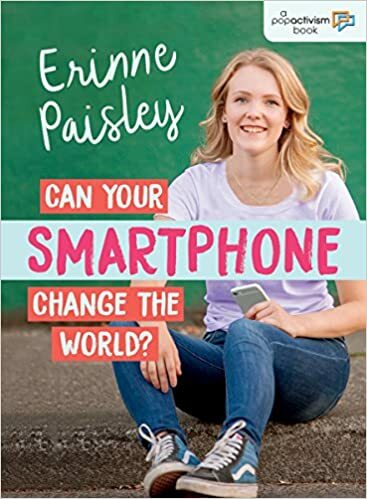 “Striking a casual but persuasive tone, Paisley demonstrates that fighting for one’s beliefs can be fun, creative, and effective — especially when social media is involved” (Publishers Weekly). 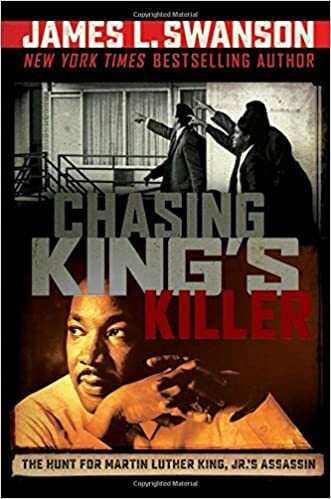 Chasing King’s Killer: The Hunt For Martin Luther King, Jr.’s Assassin by James L. Swanson — James Earl Ray and Martin Luther King, Jr. had two very different life journeys — but their paths fatally collide when Ray assassinates the world-renown civil rights leader. This book provides an inside look into both of their lives, the history of the time, and a blow-by-blow examination of the assassination and its aftermath. “The source notes are copious and clear enough to serve as a guide for continued study…a top pick for YA history collections” (School Library Journal). 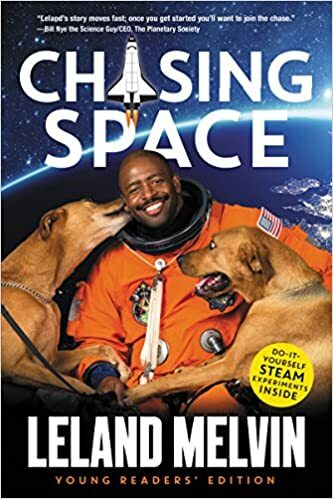 Chasing Space by Leland Melvin — In this inspiring memoir, adapted from the simultaneous version for adults, young readers learn about Leland Melvin’s remarkable life story, from being drafted by the Detroit Lions to orbiting our planet in the International Space Station. “Melvin tackles stupendous obstacles with dogged determination, showing you what is indeed possible in life — if you believe” (Neil deGrasse Tyson). 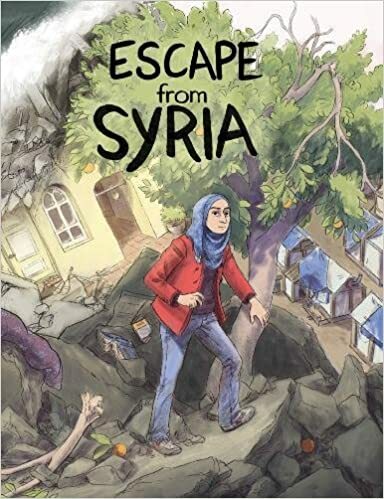 Escape From Syria by Samya Kullab, Jackie Roche & Mike Freiheit — A breathtaking and hard-hitting story of one family’s struggle to survive in the face of war, displacement, poverty and relocation. “In league with Art Spiegelman’s Maus and Marjane Satrapi’s Persepolis, this is a must-purchase for any teen or adult graphic novel collection” (School Library Journal). 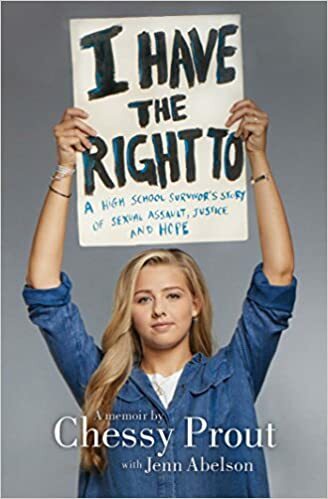 I Have The Right To: A High School Survivor’s Story Of Sexual Assault, Justice, And Hope by Chessy Prout, with Jenn Abelson — A young survivor tells her searing, visceral story of sexual assault, justice, and healing in this gut-wrenching memoir. “Readers will take away a deep appreciation and admiration for Prout’s resilience as she transitions into a resolute crusader for the empowerment of victims of sexual violence — and for its prevention” (Publishers Weekly). 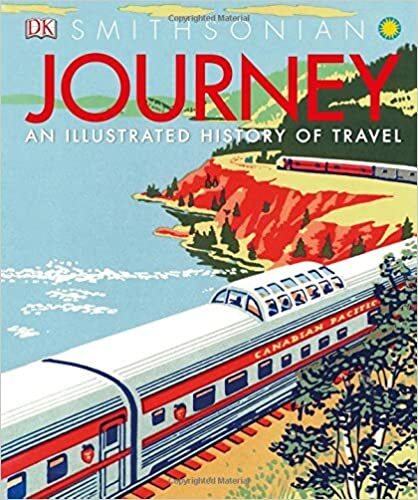 Journey: An Illustrated History Of Travel by Simon Adams, R.G. Grant and Andrew Humphreys — An illustrated account of human movement, travel, exploration, and scientific discovery — from the first trade networks in ancient Sumer to the epic Voyager missions. “No other travel book includes discussions covering such a wide range of time and space. From ancient Egypt to the Vikings to Marco Polo to Route 66, this work serves as a testament to our desire to roam the world” (Booklist). 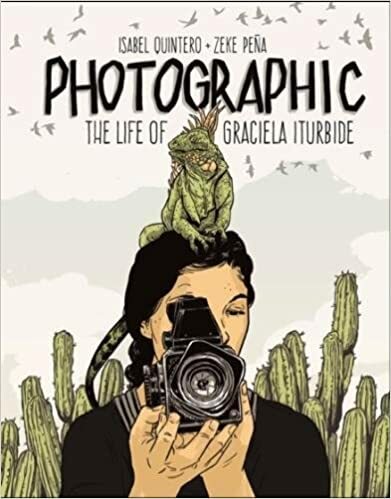 Photographic: The Life Of Graciela Iturbide by Isabel Quintero and Zeke Peña — Graciela Iturbide was born in Mexico City in 1942, the oldest of 13 children. When tragedy struck Iturbide as a young mother, she turned to photography for solace and understanding, setting out on a photographic journey that has taken her throughout her native Mexico, from the Sonora Desert to Juchitán to Frida Kahlo’s bathroom, to the United States, India, and beyond. “Quintero and Peña have set a new standard in artist biographies. 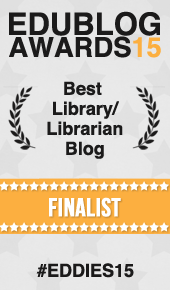 A must for teen collections” (School Library Journal). 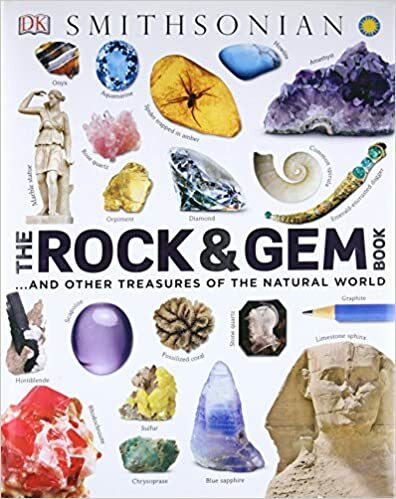 The Rock & Gem Book: And Other Treasures Of The Natural World by Dan Green — Filled with over 1,200 stunning full-color photographs, this is the perfect encyclopedia for young geologists to consult. From the quartz in watches to the limestone in the Great Pyramids, the earth’s natural treasures are used in architecture, art, and science. 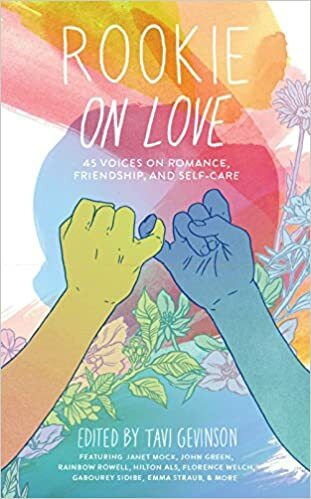 Rookie On Love: 45 Voices On Romance, Friendship, And Self-Care, edited by Tavi Gevinson — A collection of essays, poems, comics, interviews, and illustrations on love from the online magazine RookieMag.com. “Each voice lends itself to universal truths about love, sometimes in no-holds-barred language, making this a good choice for YA and new adult collections” (Booklist). 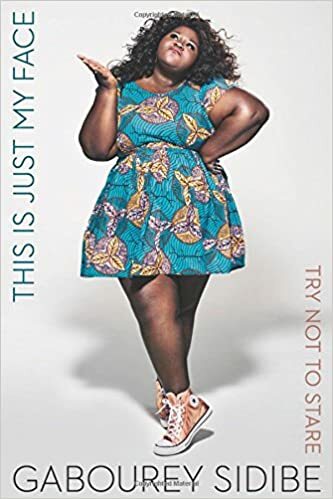 This Is Just My Face: Try Not To Stare by Gabourey Sidibe — Oscar-nominated actress Gabourey Sidibe reflects on her life amidst a polygamous father and her rise to fame as a movie star, reflecting on dispatches of friendship, depression, celebrities, haters, fashion, race, and weight. “An immersive, honest, and funny read for fans of Sidibe or celebrity memoirs” (School Library Journal). 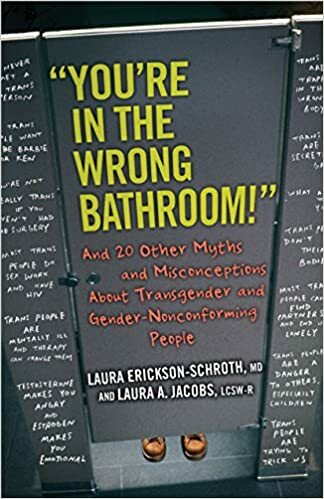 “You’re In The Wrong Bathroom!”: And 20 Other Myths And Misconceptions About Transgender And Gender-Nonconforming People by Laura Erickson-Schroth and Laura A. Jacobs — Debunks the twenty-one most common myths and misperceptions about transgender issues. “A timely and worthwhile purchase for libraries as well as middle- and high-school counseling offices, community centers, and places of worship” (Booklist).